Artaxerxes III Ochus of Persia /ˌɑːrtəˈzɜːrksiːz/ c. 425 BC – 338 BC; (Old Persian: Artaxšaçā) was the Great King (Shah) of Persia and the eleventh king of the Achaemenid Empire, as well as the first Pharaoh of the 31st dynasty of Egypt. He was the son and successor of Artaxerxes II and was succeeded by his son, Arses of Persia (also known as Artaxerxes IV). His reign coincided with the reign of Philip II in Macedon and Nectanebo II in Egypt. In Artaxerxes' later years, Philip II of Macedon's power was increasing in Greece, where he tried to convince the Greeks to revolt against Achaemenid Persia. His activities were opposed by Artaxerxes, and with his support, the city of Perinthus resisted a Macedonian siege. According to a Greek source, Diodorus of Sicily, Bagoas poisoned Artaxerxes, but a cuneiform tablet (now in the British Museum) suggests that the king died from natural causes. Artaxerxes III (Old Persian: , Artaxšaçrā, "he whose empire is well-fitted" or "perfected", or Arta:"honoured"+Xerxes:"a king" ("the honoured king"), according to Herodotus "the great warrior") was the throne name adopted by Ochus when he succeeded his father in 358 BC. 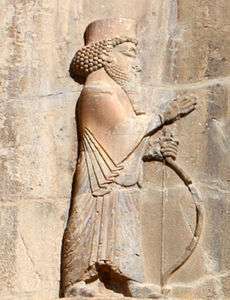 He is generally referred to as Ochus, but in Iran he is known as Ardeshir III (اردشیر سوم Modern Persian form of Artaxerxes). In Babylonian inscriptions he is called "Umasu, who is called Artakshatsu". The same form of the name (probably pronounced Uvasu) occurs in the Syrian version of the Canon of Kings by Elias of Nisibis. Before ascending the throne Artaxerxes had been a satrap and commander of his father's army. In 359 BC, just before ascending the throne, he attacked Egypt as a reaction to Egypt's failed attacks on coastal regions of Phoenicia. In 358 BC his father, Artaxerxes II, died--it was said to be because of a broken heart caused by his children's behaviour--and, since his other sons, Darius, Ariaspes and Tiribazus had already been eliminated by plots, Artaxerxes III succeeded him as king. His first order was the execution of over 80 of his nearest relations to secure his place as king. In 355 BC, Artaxerxes forced Athens to conclude a peace which required the city's forces to leave Asia Minor and to acknowledge the independence of its rebellious allies. Artaxerxes started a campaign against the rebellious Cadusians, but he managed to appease both of the Cadusian kings. One individual who successfully emerged from this campaign was Darius Codomannus, who later occupied the Persian throne as Darius III. Artaxerxes then ordered the disbanding of all the satrapal armies of Asia Minor, as he felt that they could no longer guarantee peace in the west and was concerned that these armies equipped the western satraps with the means to revolt. The order was however ignored by Artabazus of Lydia, who asked for the help of Athens in a rebellion against the king. Athens sent assistance to Sardis. Orontes of Mysia also supported Artabazus and the combined forces managed to defeat the forces sent by Artaxerxes in 354 BC. However, in 353 BC, they were defeated by Artaxerxes’ army and were disbanded. Orontes was pardoned by the king, while Artabazus fled to the safety of the court of Philip II of Macedon. In around 351 BC, Artaxerxes embarked on a campaign to recover Egypt, which had revolted under his father, Artaxerxes II. At the same time a rebellion had broken out in Asia Minor, which, being supported by Thebes, threatened to become serious. Levying a vast army, Artaxerxes marched into Egypt, and engaged Nectanebo II. After a year of fighting the Egyptian Pharaoh, Nectanebo inflicted a crushing defeat on the Persians with the support of mercenaries led by the Greek generals Diophantus and Lamius. Artaxerxes was compelled to retreat and postpone his plans to reconquer Egypt. Soon after this defeat, Phoenicia, Asia Minor and Cyprus declared their independence from Persian rule. In 343 BC, Artaxerxes committed responsibility for the suppression of the Cyprian rebels to Idrieus, prince of Caria, who employed 8,000 Greek mercenaries and forty triremes, commanded by Phocion the Athenian, and Evagoras, son of the elder Evagoras, the Cypriot monarch. Idrieus succeeded in reducing Cyprus. Artaxerxes initiated a counter-offensive against Sidon by commanding the satrap of Syria and Mezseus, and the satrap of Cilicia to invade the city and to keep the Phoenicians in check. Both satraps suffered crushing defeats at the hands of Tennes, the Sidonese king, who was aided by 40,000 Greek mercenaries sent to him by Nectanebo II and commanded by Mentor of Rhodes. As a result, the Persian forces were driven out of Phoenicia. After this, Artaxerxes personally led an army of 330,000 men against Sidon. Artaxerxes' army comprised 300,000 foot soldiers, 30,000 cavalry, 300 triremes, and 500 transports or provision ships. After gathering this army, he sought assistance from the Greeks. Though refused aid by Athens and Sparta, he succeeded in obtaining a thousand Theban heavy-armed hoplites under Lacrates, three thousand Argives under Nicostratus, and six thousand Æolians, Ionians, and Dorians from the Greek cities of Asia Minor. This Greek support was numerically small, amounting to no more than 10,000 men, but it formed, together with the Greek mercenaries from Egypt who went over to him afterwards, the force on which he placed his chief reliance, and to which the ultimate success of his expedition was mainly due. After the conquest of Egypt, there were no more revolts or rebellions against Artaxerxes. Mentor and Bagoas, the two generals who had most distinguished themselves in the Egyptian campaign, were advanced to posts of the highest importance. Mentor, who was governor of the entire Asiatic seaboard, was successful in reducing to subjection many of the chiefs who during the recent troubles had rebelled against Persian rule. In the course of a few years Mentor and his forces were able to bring the whole Asian Mediterranean coast into complete submission and dependence. In 338 BC Artaxerxes was poisoned by Bagoas with the assistance of a physician. Historically, kings of the Achaemenid Empire were followers of Zoroaster or heavily influenced by Zoroastrian ideology. The reign of Artaxerxes II saw a revival of the cult of Anahita and Mithra, when in his building inscriptions he invoked Ahuramazda, Anahita and Mithra and even set up statues of his gods. Mithra and Anahita had until then been neglected by true Zoroastrians--they defied Zoroaster’s command that God was to be represented only by the flames of a sacred fire. Artaxerxes III is thought to have rejected Anahita and worshipped only Ahuramazda and Mithra. An ambiguity in the cuneiform script of an inscription of Artaxerxes III at Persepolis suggests that he regarded the father and the son as one person, suggesting that the attributes of Ahuramazda were being transferred to Mithra. Strangely, Artaxerxes had ordered that statues of the goddess Anâhita be erected at Babylon, Damascus and Sardis, as well as at Susa, Ecbatana and Persepolis. 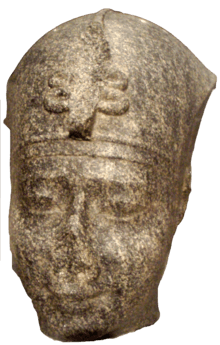 Artaxerxes III was the son of Artaxerxes II and Statira. Artaxerxes II had more than 115 sons by many wives, most of them however were illegitimate. Some of Ochus' more significant siblings were Rodogune, Apama, Sisygambis, Ocha, Darius and Ariaspes, most of whom were murdered soon after his ascension. Artaxerxes married his niece and the daughter of Oxathres, brother of the future king Darius III. His children were Arses, the future king of Persia, Bisthanes and Parysatis II, wife of Alexander the Great. 1 2 Lendering, Jona. "Artaxerxes III Ochus". Livius.Org. Archived from the original on February 22, 2008. Retrieved March 1, 2008. ↑ Ghias Abadi, R. M. (2004). Achaemenid Inscriptions (کتیبه‌های هخامنشی)‎ (in Persian) (2nd ed.). Tehran: Shiraz Navid Publications. p. 144. ISBN 964-358-015-6. ↑ Lendering, Jona. "Artaxerxes IV Arses". Archived from the original on May 13, 2008. Retrieved June 8, 2008. 1 2 "Artaxerxes". Archived from the original on April 9, 2008. Retrieved March 11, 2008. ↑ Grabbe, Lester L. (2004). A History of the Jews and Judaism in the Second Temple Period. Continuum International Publishing Group. p. 323. ISBN 0-567-08998-3. ↑ Lipschits, Oded (2007). Garry N. Knoppers, Rainer Albertz, ed. Judah and the Judeans in the Fourth Century B.C.E. EISENBRAUNS. p. 87. ISBN 1-57506-130-9. ↑ Rhodes, Peter J. (2006). A History of the Classical Greek World: 478–323 BC. Blackwell Publishing. p. 224. ISBN 0-631-22564-1. Retrieved September 24, 2016. ↑ Lemprière, John; R. Willets (1984) . Classical Dictionary containing a full Account of all the Proper Names mentioned in Ancient Authors. Routledge. p. 82. ISBN 0-7102-0068-4. ↑ Kjeilen, Tore. "Artaxerxes 3". Archived from the original on February 25, 2008. Retrieved March 5, 2008. ↑ Sekunda, Nick; Nicholas V. Sekunda; Simon Chew (1992). The Persian Army 560–330 BC: 560–330 BC. Osprey Publishing. p. 28. ISBN 1-85532-250-1. ↑ Miller, James M. (1986). A History of Ancient Israel and Judah. John Haralson Hayes (photographer). Westminster John Knox Press. p. 465. ISBN 0-664-21262-X. ↑ Newton, Sir Charles Thomas; R.P. Pullan (1862). A History of Discoveries at Halicarnassus, Cnidus & Branchidæ. Day & son. p. 57. 1 2 3 4 5 6 7 "Artaxerxes III Ochus ( 358 BC to 338 BC )". Retrieved March 2, 2008. ↑ Rawlinson, George (1889). "Phœnicia under the Persians". History of Phoenicia. Longmans, Green. Retrieved March 10, 2008. 1 2 "Artaxerxes". Archived from the original on March 12, 2008. Retrieved March 4, 2008. ↑ "The Legend Of Gog And Magog". Archived from the original on March 15, 2008. Retrieved March 10, 2008. ↑ Bruce, Frederick Fyvie (1990). The Acts of the Apostles: The Greek Text with Introduction and Commentary. Wm. B. Eerdmans Publishing. p. 117. ISBN 0-8028-0966-9. ↑ "Persian Period II". Archived from the original on February 17, 2008. Retrieved March 6, 2008. 1 2 "Chapter V: Temporary Relief". Retrieved March 1, 2008. ↑ "Philip of Macedon Philip II of Macedon Biography". Archived from the original on March 14, 2008. Retrieved March 7, 2008. ↑ Briant, Pierre (2002). From Cyrus to Alexander: A history of the Persian Empire. Eienbrauns. p. 769. ISBN 1-57506-120-1. ↑ J. Varza; Dr. M. Soroushian. "The Achaemenians, Zoroastrians in Transition". Archived from the original on March 26, 2008. Retrieved March 5, 2008. ↑ Lendering, Jona. "Ahuramazda and Zoroastranism". Archived from the original on March 15, 2008. Retrieved March 5, 2008. ↑ Hans-Peter Schmidt (14 January 2006). "i. Mithra In Old Indian And Mithra In Old Iranian". Archived from the original on March 3, 2008. Retrieved March 5, 2008. ↑ "The Origins Of Mithraism". Archived from the original on February 7, 2008. Retrieved March 5, 2008. ↑ "Silver tetradrachm of Artaxerxes III". Retrieved March 6, 2008. ↑ Lare, Gerald A. "The Period of Jewish Independence". Archived from the original on February 25, 2008. Retrieved March 10, 2008. ↑ Paul Ingram. "The Book of Judith". Retrieved March 10, 2008. ↑ Wigoder, Geoffrey (2006). The Illustrated Dictionary & Concordance of the Bible. Sterling Publishing Company. p. 131. ISBN 1-4027-2820-4. ↑ Brosius, Maria (1996). Women in Ancient Persia, 559–331 BC. Oxford University Press. p. 67. ISBN 0-19-815255-8. Italics indicate kings not directly attested and so possibly legendary.